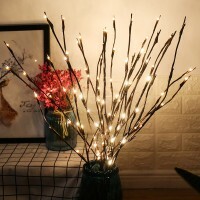 Battery Operated for Safe and Easy Use- 2pc AA battery powered, 3V input voltage, completely safe for operation; And the cord and battery box can be easily hid in the vase out of sight,avoid the annoying AC cord connection. 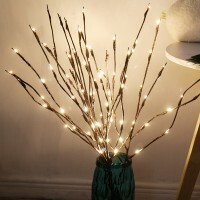 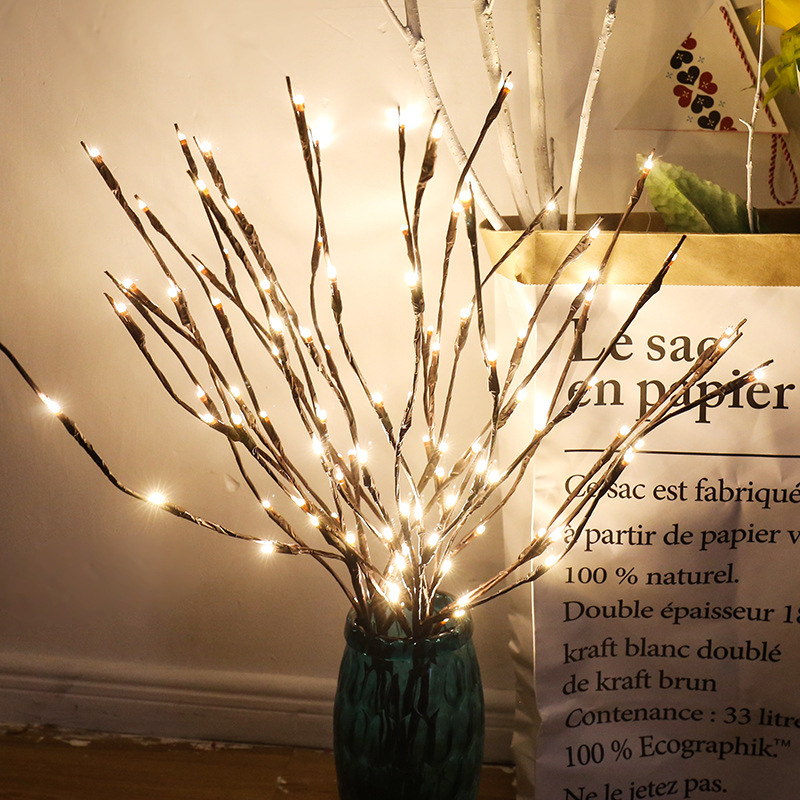 Branches Bendable for DIY Crafting- This lighted branches are bendable,you can adjust them, make them twist, or pull them up or down to create your own natural look. 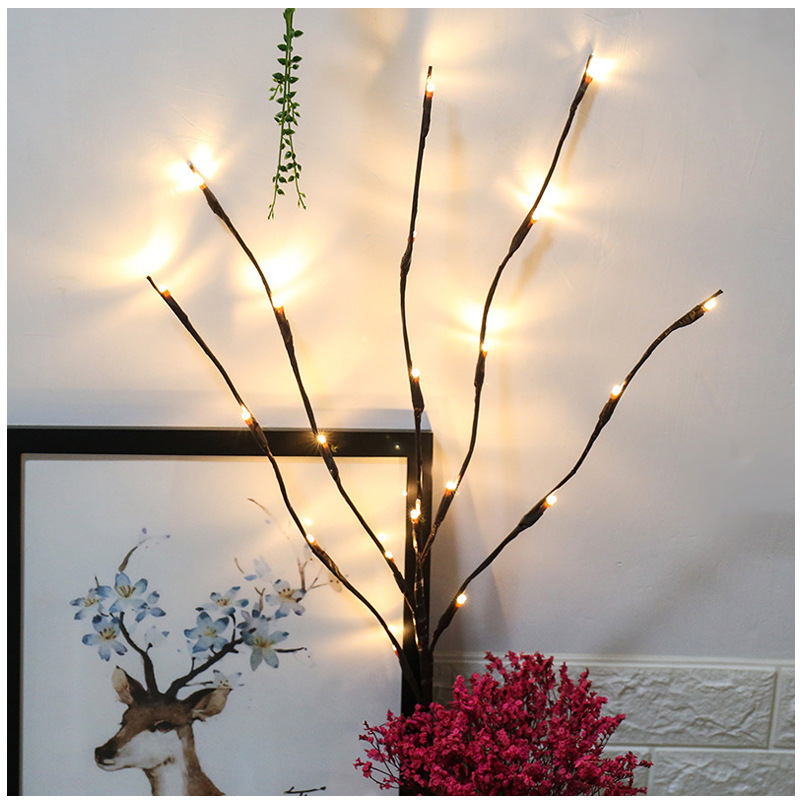 Come with 3 Packs: 20Leds for each pack and it is 31.5 inches in total. 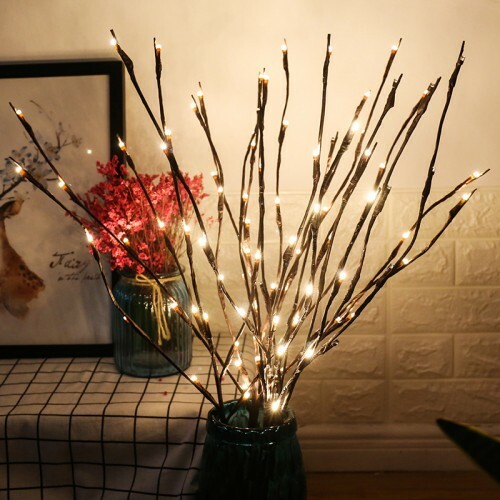 Excellent Decoration- This handcrafted artificial lighted branches is great for home and office decoration.It looks gorgouse when put together with your beautiful folwers which is so romantic. DECORATIVE LIGHTED BRANCHES FOR INDOOR & OUTDOOR: Plastic-constructed branches creates a festive and eye-catching statement. 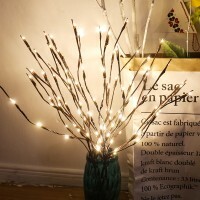 Perfect as decorative lights for Christmas, events, showrooms, galleries, and any room in your home. Suitable for outdoors with a covered area. 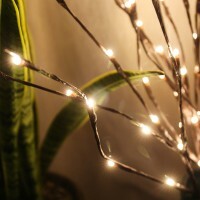 Exquisite design, compact calculation, suitable for a variety of different places.Perfect for kitche..
ITALIAN CAFE STYLE G40 PATIO LIGHTS TRANSFORM YOUR YARD INTO AN OUTSIDE RETREAT: Brightech's solar p..
Soft Candle Flicker Effect - The solar lights outdoor are magical to see the light flicke.. 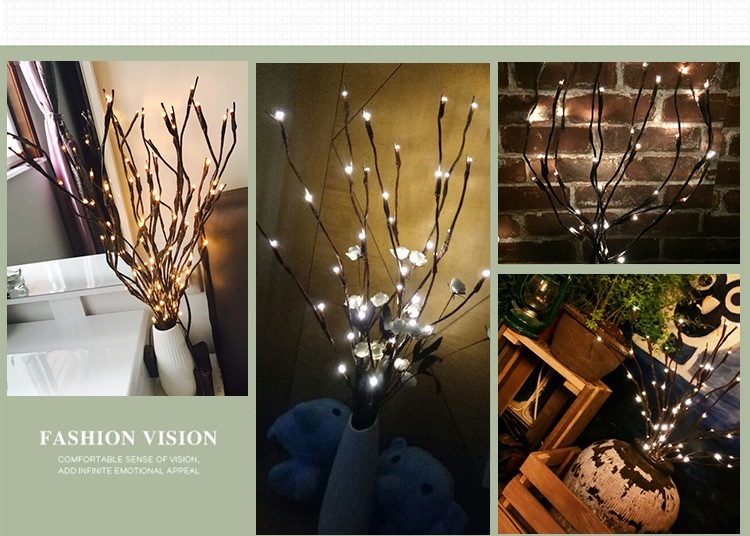 Style: modern minimalismMaterial: wrought iron + handmade hemp ropeVoltage: 110-240vDimensions: 20*1..
Vintage industrial style one-light indoor wall fixture is perfect for use in restaurant, bedroom, li..
Design wall lamp Timeless elegance in wood (mountain elm)Each lamp has a unique textureDiameter; 8-1.. 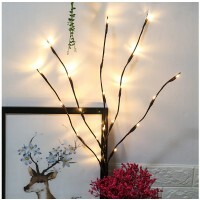 Style: ModernMaterial: ironColor	GoldMaterial	MetalNumber of Lights	12Shade Material	IronType ..
Specification:Material: MetalColor: Gold/BlackNumber of Bulb: 2/4/6Bulbs (Bulbs not included)Voltage..
SpecificationConstruction: SteelStyle: IndustrialDimmable: NoLocation: IndoorBulb Included: NOVolt: ..